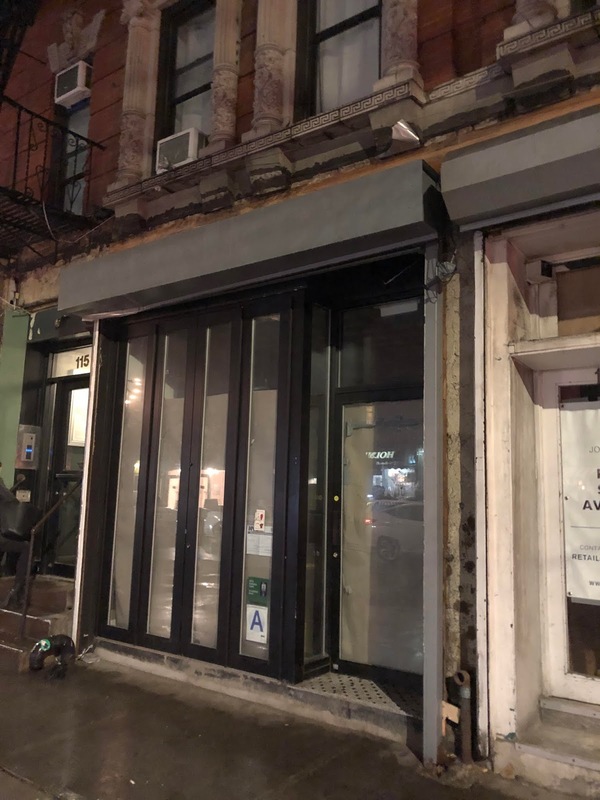 The owners of Hanoi House at 119 St. Mark's Place have designs on opening a soup-centric cafe a few storefronts away here between Avenue A and First Avenue. It will be a far more casual affair than their original restaurant, with sandwiches, coffee, and of course, pho. Hanoi House’s well-known, funky and fragrant pho bac — beef-based pho, here with oxtail — will be an option, as will pork terrine banh mi (banh mi cha lua) and Hoi An chicken over rice. Here, a chicken and vegan pho will also be available. Unlike Hanoi House, Soup Shop will be open during the day instead of just for dinner. It’s also about half the size, with counter seating, takeout, and delivery. No. 115 last hosted the pop-up shop Mr. Bing... The previous tenant, Water Witch Mercantile, closed at the end of 2016 after just two months in business. Past tenants included Box Kite Coffee and the Tuck Shop. Hanoi House opened in January 2017.